As you probably know, I have three sons and one of them has his own YouTube Channel. He uses it to live-stream and create videos of himself playing games and doing voice-overs (strange, I know). Today, I was notified by my phone that he was streaming Live on his channel. At noon. So, I called the wife to see if he was home sick– nope. 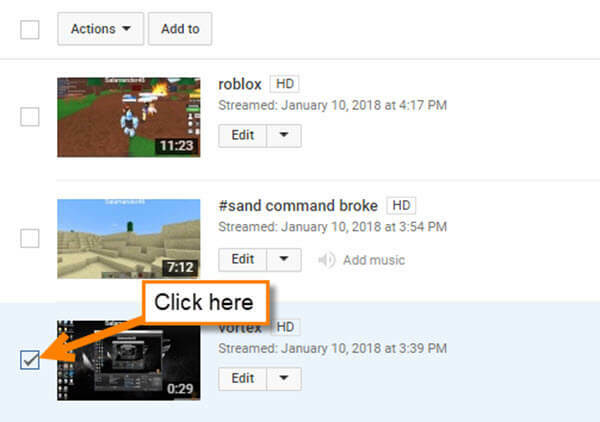 Turns out my youngest (4 years old) was streaming on his brother’s channel and I could foresee a volcanic eruption when the owner returned from school. I needed to quickly delete the evidence before a fight broke out. 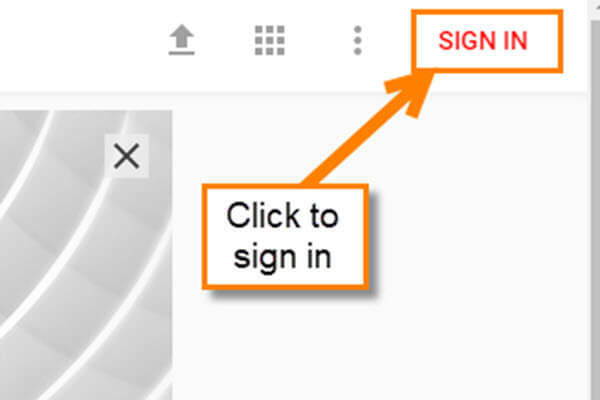 Step 2: Once signed in, head to the top-right and click on your profile image. This will bring up the drop-down menu. 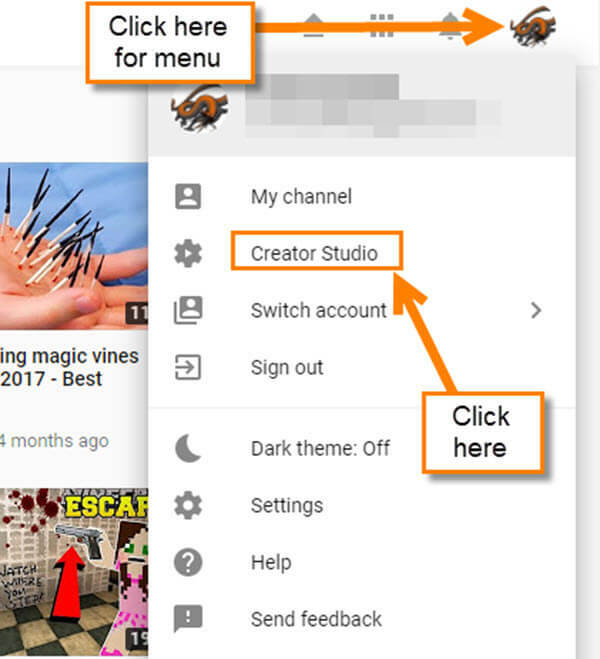 On the menu, click on Creator Studio. Step 3: Now you will be on your Creator Studio Dashboard. There are two ways to get to the next step. 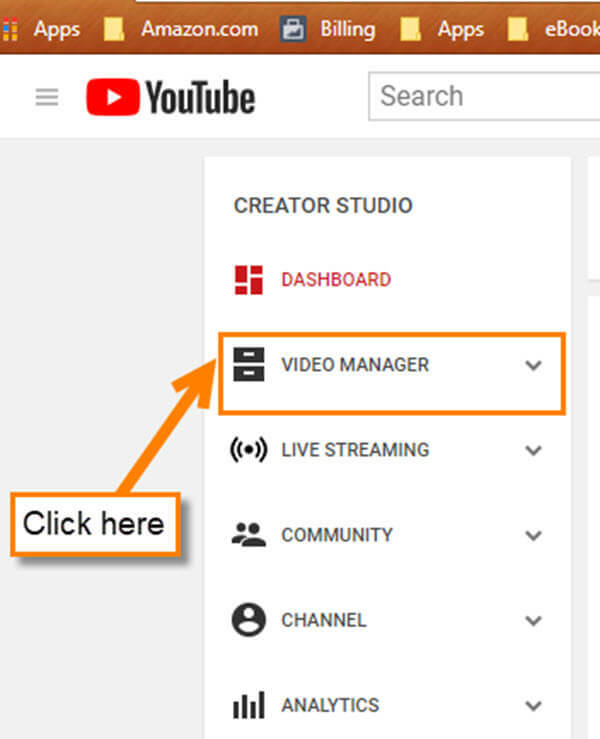 The first way is to look to the left menu and click on the Video Manager. The other option is on the Dashboard screen. 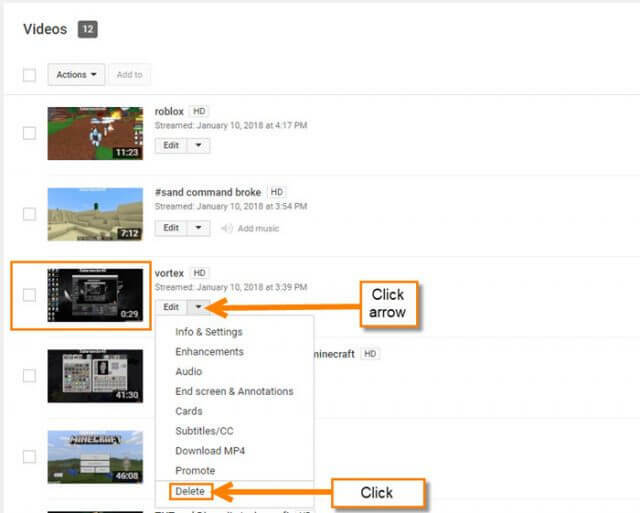 Here you will see some of your Videos front and center. Right below them, there is a View all link. Click it. Either option will take you to the next step. Step 4: There are two ways to delete videos at this point. To the immediate right of the video image, click on the down-arrow beside the word Edit. The bottom-most choice is Delete, click it. Step 4.1: If there is more than one video, click the boxes beside the videos and then choose the Actions button at the top. Delete is three choices up from the bottom. 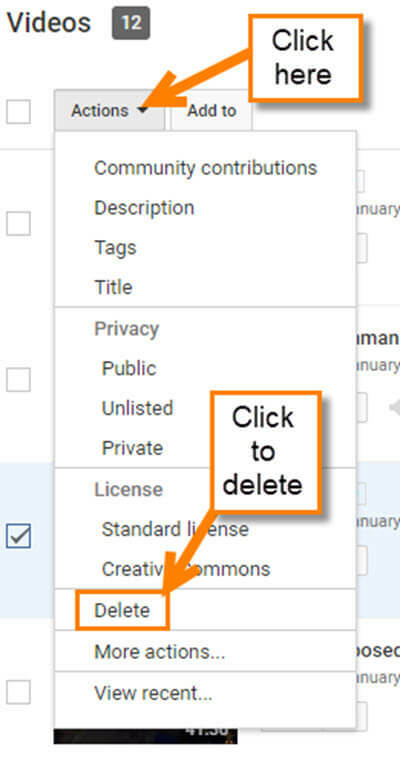 After you choose Delete, a confirmation window will pop up to make sure you actually want to delete. Choose Delete again to confirm you want to permanently delete the video. Done. 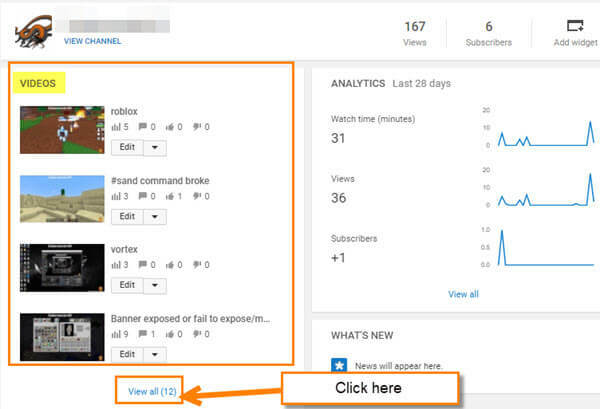 Now you know how to delete your videos, or your kid’s videos, from your YouTube account. awesome tutorial .. even I could easily understand this!